By the time Priscilla Presley was 23 years old, she had already known Elvis for almost a decade, been married to him for 13 months and given birth to their daughter, Lisa Marie. But she had never seen the King of Rock ’n’ Roll perform live until she sat in the handpicked audience over two nights in June 1968 for the taping of Singer Presents…Elvis. Host Blake Shelton says to expect a 'magical' night, with Jennifer Lopez, Keith Urban, Carrie Underwood and more. The pair, who were separated by a 10-year age gap, ended their tumultuous marriage in 1973 — yet did so on such good terms that they held hands while walking out of the courtroom on the day of their divorce. Priscilla, 73, who is now touring the world with the Elvis Lives tribute extravaganza, looks back. Fifty years. Can you believe it? Priscilla Presley: When I think about it, it feels like five. I don’t know where the years have gone. It’s still so vivid in my mind and in my vision! The nerves. Witnessing. Hearing the stories. Living it. I’ve seen [the special] three or four times since. What were Elvis’s emotions like over those two nights? I know how nervous he was. He didn’t have any confidence and couldn’t remember the stories he said at the rehearsal. He asked [director] Steve Binder to cancel the show. But Steve said, “Just go out there and talk and have fun.” [At the taping] you never would have known [he was nervous]. I think the first words he said were, “It’s been a long time, baby.” His confidence shocked everyone — even the audience, who didn’t know what to expect. He had them under control in about five minutes. And to see the girls be captivated by him was very endearing. Is it true Elvis never liked the phrase “comeback special”? He didn’t! He never thought he left. A comeback was like he retired or came back out, and that was not how he felt. His career was about the movie business. But he wasn’t getting the films he wanted and longed for. This special was vital to his career because it opened doors for him to get back to his music and tour. New generations have now embraced Elvis. What do you want younger fans to know about him? He was the real deal. Even off the stage, he had a presence. He had charisma. He had style. You never saw him slouching on the couch. Looking back, he was always dressed. Always. He had that bigness as a star. He was also humble. Polite yet very strong. Sure of himself, yet he could be like a little boy. He really had it all! 'The Elvis Comeback Special' is re-created with today’s superstars in this NBC television event. Does he still come up in conversation among you and Lisa Marie and your granddaughter, Riley Keough? Oh, gosh, he’s definitely still a part of our lives. But to be honest, we don’t sit around and talk about him and reminisce. He’s in us already. We understand. We know who he was and who he is in present time with everyone who still loves him and supports him. We get it. We lived it. We still go to Graceland [the family estate in Memphis] a few times a year for special occasions and have dinners. This is an abbreviated version of TV Guide Magazine's latest cover story. 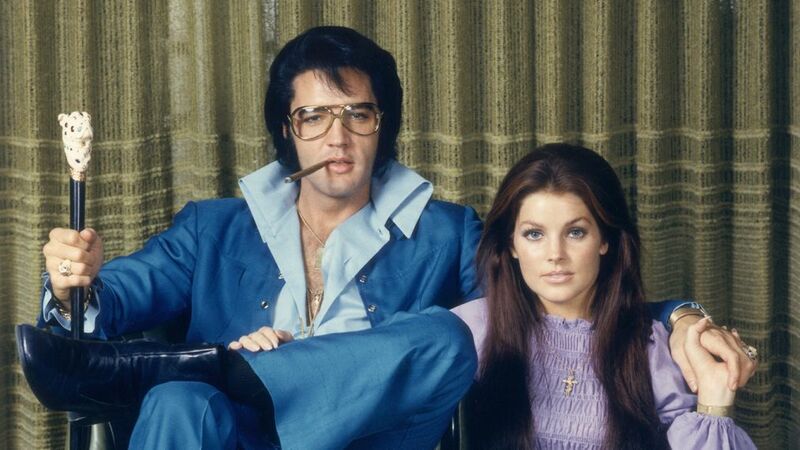 For more from our conversation with Priscilla Presley about Elvis, pick up the issue, on newsstands now.